With over 150 retail locations nationwide, Complete Nutrition has built a strong brand in the nutritional supplement market. Since 2004, they have been on a mission to provide customers with the best personalized fitness nutrition for weight management, sports nutrition, and general health - and today they reach these customers across multiple channels. To remain competitive, they needed to upgrade their customer experience and commerce capabilities across mobile, web, and social. 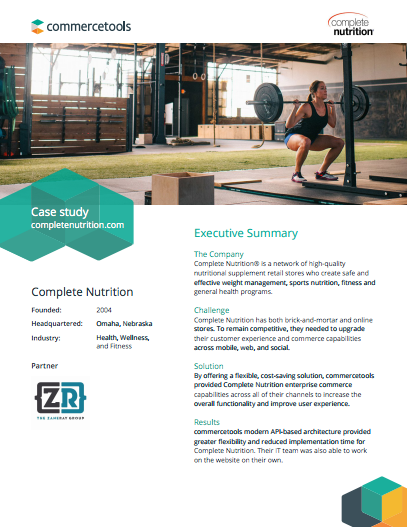 We teamed up with Complete Nutrition and our partner ZaneRay to build a commerce-enabled website that would support a robust omnichannel strategy.